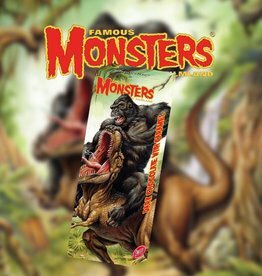 Love Famous Monsters of Filmland?! Grab this King Kong & T-Rex chocolate bar. It's dark chocolate with caramel.